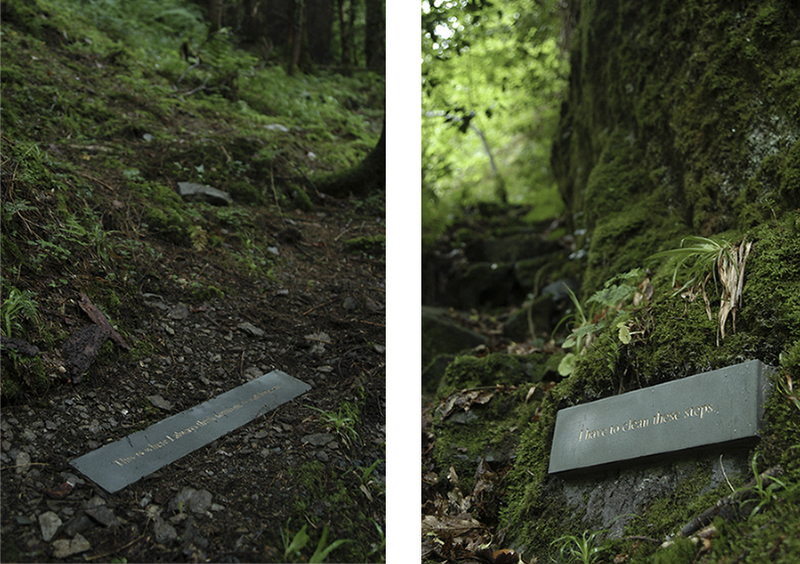 Stone Voices is a collection of 21 texts cut into stone from real and imagined stories and events that have taken place in the Devils Glen, Ashford, Co. Wicklow. 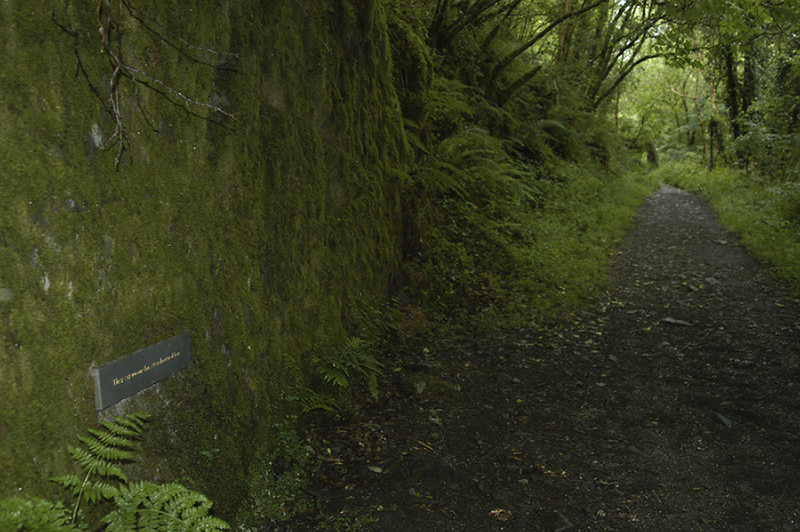 The textual inspiration for the collection was sourced mainly onsite from people who use the glen on a regular basis. Advertisments were placed in local papers, and post boxes were placed in and around the area to gather personal accounts of events from the glen. 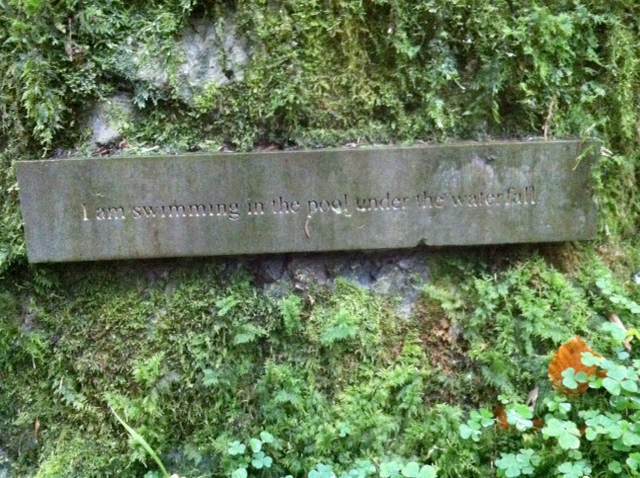 A weekend of story telling events were arranged after an interview on Radio RTE. Written in the present tense the stories are intended to be always happening. They are like ghosts, living and relating to their own time however, also accompanying you as you walk through and around the glen. The texts are deliberately ambiguous to suggest several interpretations. The stones have been placed as near as possible to the sites they relate to, emphasising the experience of the stories origin. Like the stories behind them, the locations of the stones is such that some are easily happened upon whilst others are more challenging to find. This retains the element of surprise that is integral to the experience of the work. The stories that inspired the stones are a mix of personal and observational tales as well as that of darker events that have taken place in and around the Glen over its history. 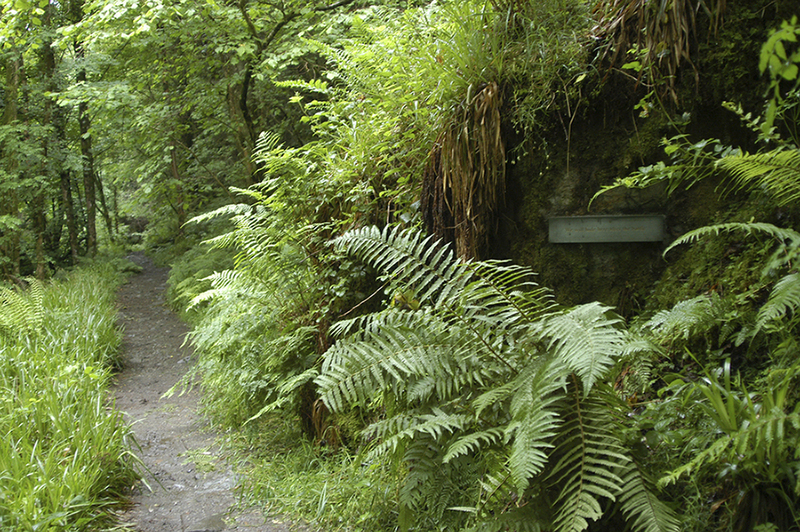 In the coming years it is hoped that the work will become increasingly part of the Glen’s seasonal cycle as the surrounding plants and foliage grow to conceal the stones during the spring and summer, temporarily reclaiming the stories that inspired them, only to be revealed again as winter approaches.